The gist of the Prime directive is that a more technically advanced civilization should not interfere with less technically advanced civilizations. 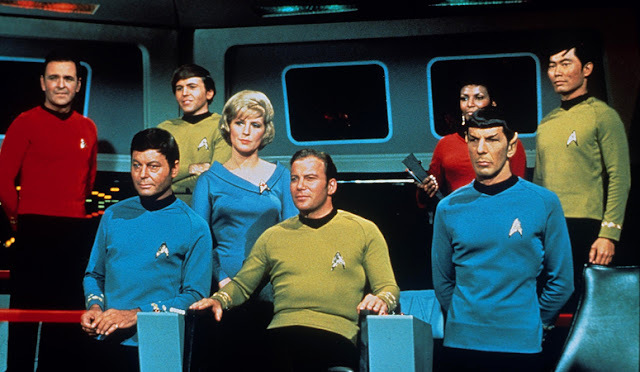 I propose that we (The United States) need to start following the Prime Directive, or at least the non-Star Fleet parts of it, because we are spreading around technology to people who are incapable of handling it. For example, we developed antibiotics to cure tuberculosis, and we gave those antibiotics to India. But the Indian doctors haven't necessarily been through medical school, lack laboratory facilities, and lack the knowledge to use the drugs wisely. Now, approximately 40% of India's population have tuberculosis; that means 480 million people are infected. A lack of proper diagnosis and proper treatment has given rise to a new, drug-resistant TB, called XDR-TB, that can only be cured in about 30% of the cases. In China, technology from the West comes in regularly without the accompanying wisdom gained through the development of said technology. Coal ash falls like snow every year when they start the coal factories for winter. The explosion last week in Tianjin happened because China has yet to build the infrastructure needed to safely move and store volatile chemicals. In Africa, weapons from technologically advanced countries have turned previous stable areas into war zones, with whomever has the largest collection of weapons becoming the default leader. I could cite more examples, but it all comes down to the U.S. handing over technology to people not prepared to handle it. The biggest problems are heading our way, when the world's population reaches a few more billion and we don't have enough. Not enough doctors. Not enough food. Not enough housing. All because the U.S. spread around the means to grow enough food and improve the odds of a child living to adulthood, creating population booms in India, China, and soon Africa. All for the lack of the Prime Directive. "The Prime Directive is not just a set of rules. It is a philosophy, and a very correct one. History has proven again and again that whenever mankind interferes with a less developed civilization, no matter how well intentioned that interference may be, the results are invariably disastrous." —Jean-Luc Picard, Symbiosis ("Quotes/Star Trek - Television Tropes & Idioms"